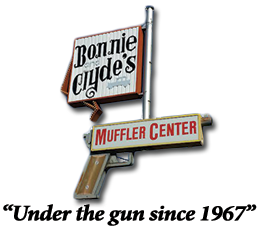 Bonnie & Clyde’s Muffler Center has been the leading muffler shop in all of Yakima County, WA, since 1967. We offer custom installation and quality repair of muffler and exhaust systems for your car, truck, SUV, motorhome or other vehicle. 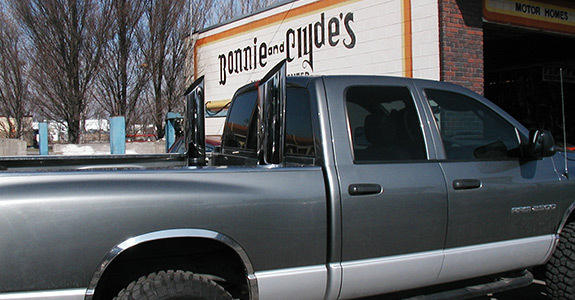 Established in 1967, Bonnie & Clyde’s Muffler Center is your one-stop exhaust and muffler shop in Yakima, WA. We specialize in full-service muffler installation and repair, and exhaust system installation, customization and repair. We also offer shocks and struts installation and repair, spring installation and repair, trailer hitch installation and more. For all of our services, we use only the top quality systems, parts and equipment from brands we trust, such as Diamond Eye, Flowmaster and Magnaflow, to ensure your vehicle performs at peak capacity. We’ve been in business for nearly 50 years. We serve all of Yakima County, WA. We provide excellent muffler & exhaust service for all types of vehicles.